Will DreDai Quit His Day Job? The Purpose – Following the June 3rd release of the locally anticipated “Dai Dreams Night Reality.” Dredai has been focused on getting as much as exposure as possible seeking every avenue to get his music heard. This album has high powered features such as Shortdawg of Young Money Ent as well as local artist from Wing Foot Ent bringing a delightful melody of nationwide exposed artist as well as underground local artist. My destination is to put SLC’s hip hop scene in the national spotlight, and on the road to nationwide recognition our next stop is Radio Play with U92. The Background – After watching a 2004 interview with 50 cent where he states “the qualities of a star are Quality of Music, Looks, Performance, and Work Ethics,” something sparked in Dre that made him realize that he had what it took. After releasing an album in college called “The Undergraduates,” he went on a full time grind to get himself exposed. He did it all from performing at The Apollo, to opening for acts such as Lil Jon, Baby Bash, J-kwon, and Bubba Sparxxx. 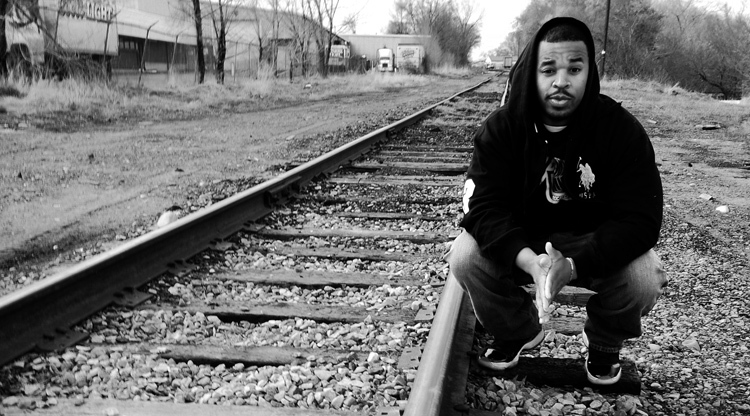 Taking on a job with Union Pacific railroad allowed him to basically get his music exposed in every city he worked in such as Kansas City, Cheyenne, Denver, and Omaha. With a fan base in many cities how can he lose?